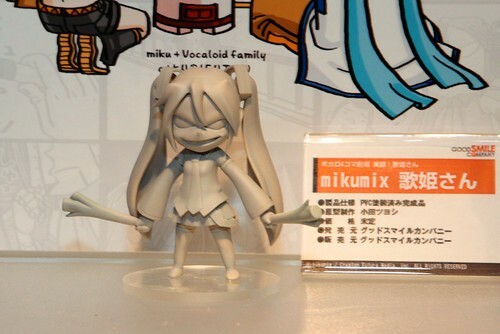 Nendoroid Hatsune Miku: Mikumix version announcement? Miku fans and collectors, gather up! 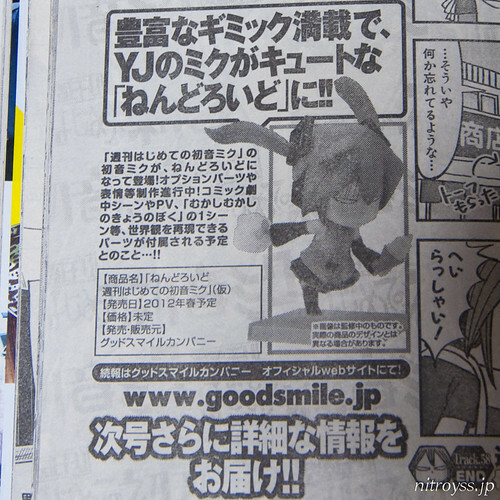 A brand new version of Nendoroid Hatsune Miku has been spotted in the latest issue of Shueisha’s Weekly Young Jump magazine. 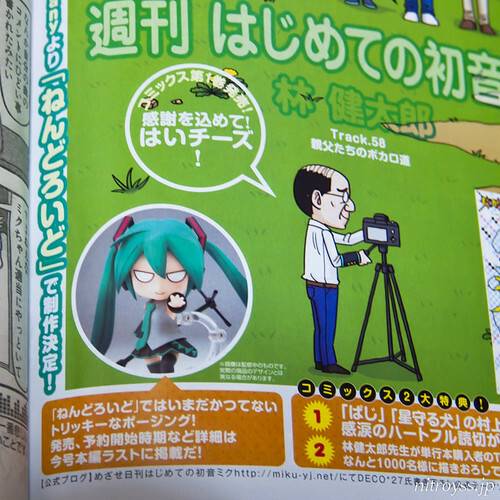 As you can see in the pic above, the featured Nendoroid is no other than Nendoroid Hatsune Miku: Mikumix version, which is based on Mikumix four-panel manga that has been running on the magazine since September, last year. This entry was posted in News and tagged hatsune miku, mikumix, nendoroid, vocaloid. Looks like the “Mukashi Mukashi no Kyou no Boku” miku :3 Cute.